So how did he do it? Did he methodically and systematically refute the arguments put forward by doubters? No, not quite. 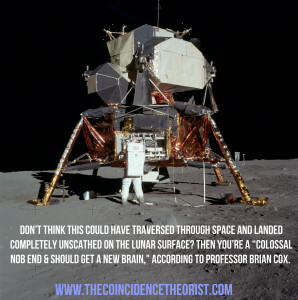 But he did arguably the next best thing: he went on Twitter and called all disbelievers of the Apollo 11 footage “nob ends”. 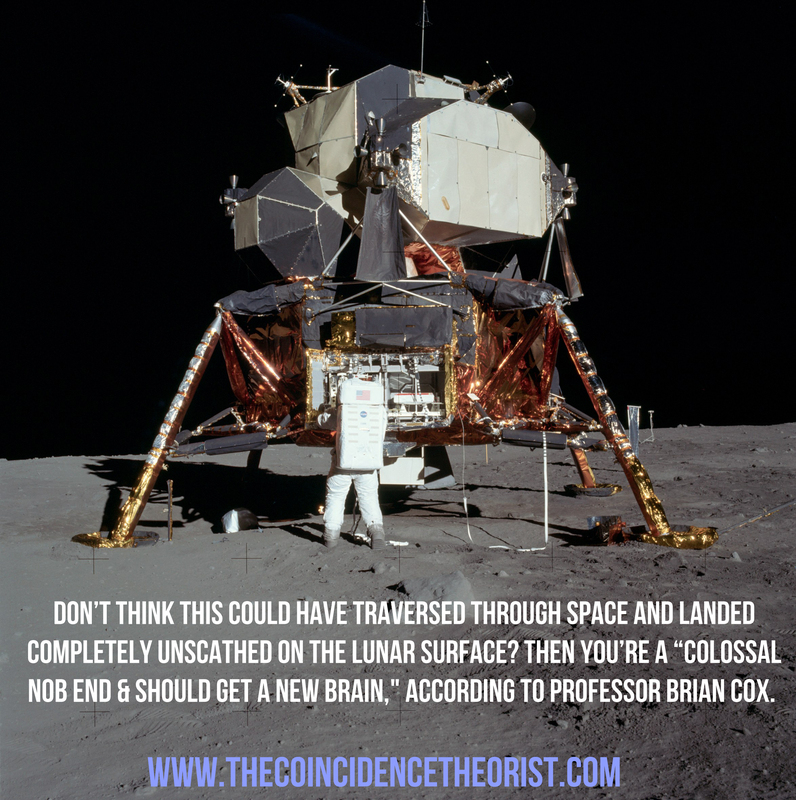 Game Over For Conspiracy Theorists. The Coincidence Theorist would like to take this opportunity, not only to applaud Professor Cox on his articulate rebuttal, but also to thank him for reminding us that contemporary science isn’t about scrutinising evidence or pursuing truth at all costs; it’s about ridiculing people who question what they’re told to believe.